Remember when your Grandmother used to hang-up your artwork on the fridge to display your childhood creations for the entire family? Well, Kyle Seaman and Theo Ephraim have created today’s modern version of this with their new application FamJam. This popular app has been called many names; a communication hub for families, an interfamily communication tool, but putting it simply FamJam is a fun and easy way for kids to safely exchange their pictures, messages and artwork with family members. Seaman and Ephraim discovered the need for this type of application when users expressed the lack of a safe family communication tool that was easy for all family members, young and old. Other apps on the market, like DrawSomething appeal to kids with its bright colors and exciting tools, however is not always appropriate since most of the interaction is done with strangers. Seaman and Ephraim wanted to create a network exclusively for family members where they could share the precious moments of childhood in a safe and contained manner. FamJam has not been the first bright idea to come out of the teamwork of Seaman and Ephraim. These two traveled from Montreal to the United States to join 500 Startups, a four-month accelerator program for tech startups in Silicon Valley. 500 Startups brings 30 companies together to receive funding, a free workspace, and most importantly the chance to benefit from the programs network of 160 members who have worked for companies like Twitter and YouTube. 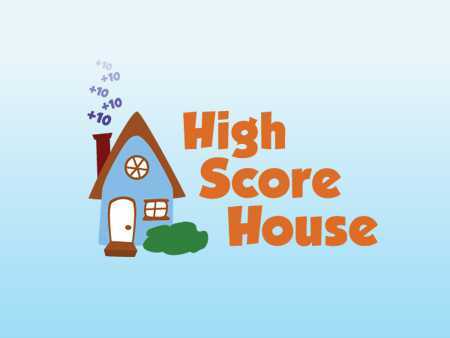 Out of this amazing opportunity, Seaman and Ephraim created their first startup, HighScore House , which offers children virtual rewards for doing real chores. With this interactive app, Seaman and Ephraim made household chores fun, by allowing children to chart the number of chores they accomplished and receive awards for their hard work, like virtual gifts such as ice cream. Check out more info on this popular app at their website. What’s Next for the Dynamic Duo? Recently, Seaman and Ephraim have moved HighScore House back home to Montreal, where they believe is this best place for their startup right now since the city offers more reasonable salaries, less competition, and an easier access to talented engineers. FamJam is supported by 500 Starups and other investors such as Jason Baily of Virtual Currency, Kay Luo who led the public relations at LinkedIn, Co-founder of Flowtown Dan Martell, and James Levine who was the former CTO at SimplyHired, just to name a few. FamJam is an exciting application that kids will love! It’s loud, colorful, and will always keep the kids interested with its drawing interface that offers various pen styles, backgrounds, and even an option to incorporate camera photos into the drawing. Most importantly, the application is super easy for FamJam’s targeted audiences of 4-9 year olds. The parents only have to create the kid’s account names and then they are ready to start sending their art! Another great feature? Grandma can response to the kid’s drawings with an in-app messages or make art work of her own! Thanks to Seaman and Ephraim even if Grandma lives on the other side of the country she will still be able to appreciate her grandchildren’s creations!